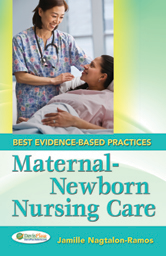 A comprehensive womens health reference guide, this "pocket brain" delivers all the practical, evidence-based clinical information you need to care for normal and high-risk pregnant mothers, newborns, and their families in diverse hospital and community settings. This book delves into other womens health issues that may impact the care of the mother-baby dyad, such as culture, substance abuse, family planning, violence against women and sexually transmitted infections. Perfect for students, new-to-practice, or expert practitioners, this guide provides concise, comprehensive assessments, easy-to-understand tables of lab work-ups and values, common treatment guidelines and the steps to implement and evaluate nursing care.